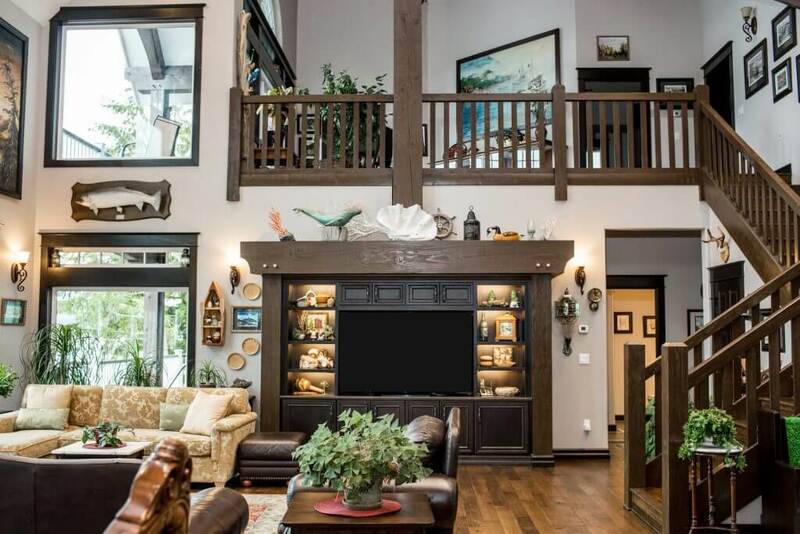 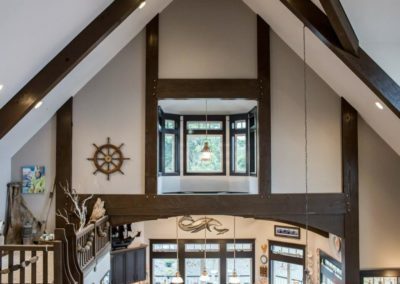 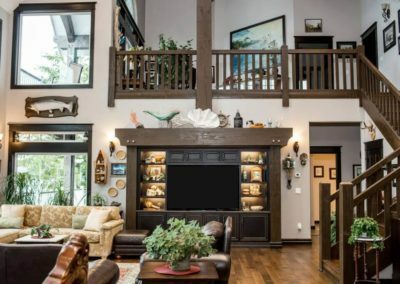 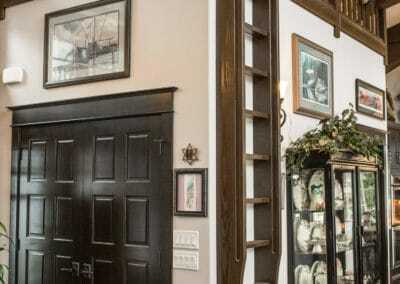 This riverfront home contrasts white trim with the dark-stained timbers. 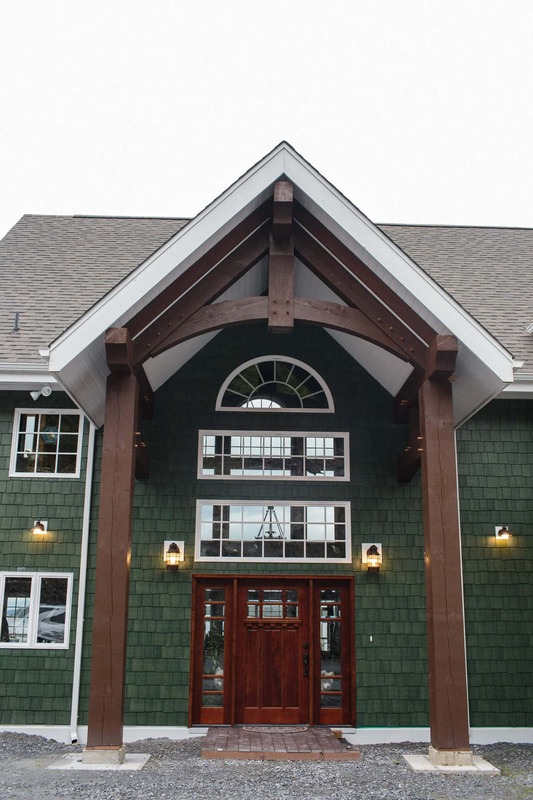 This is a fully hybrid-optimized timber home. 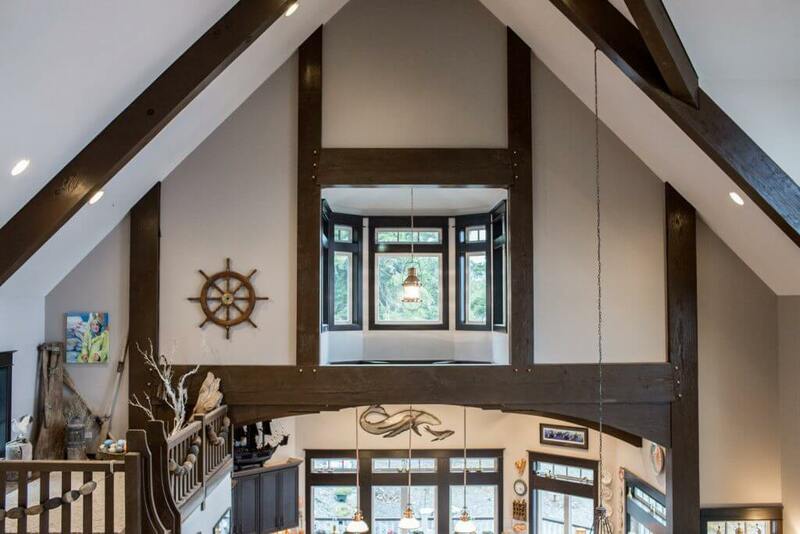 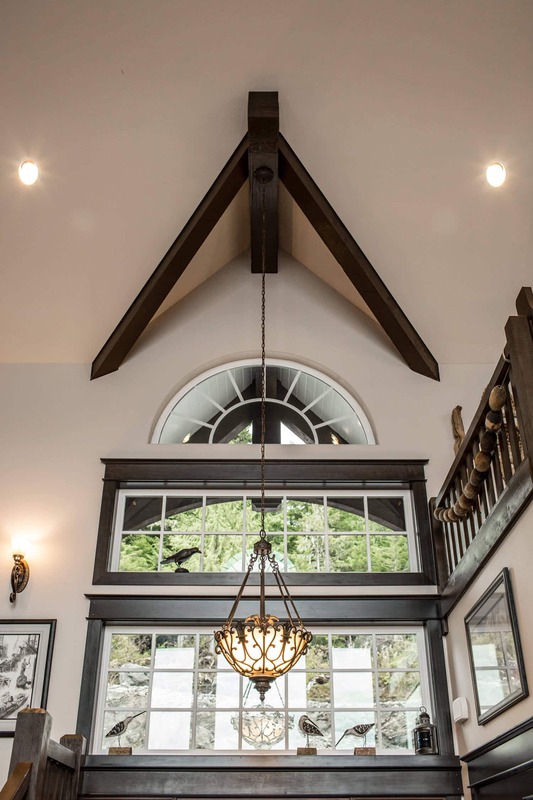 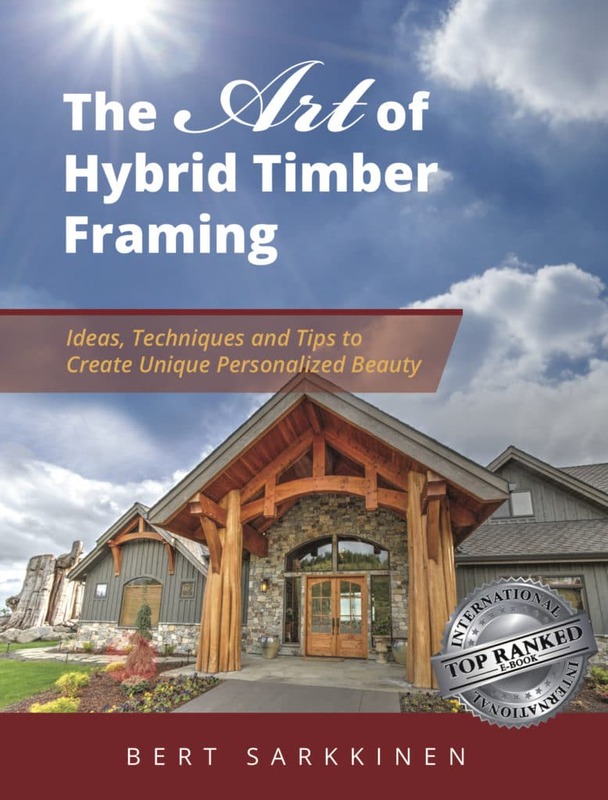 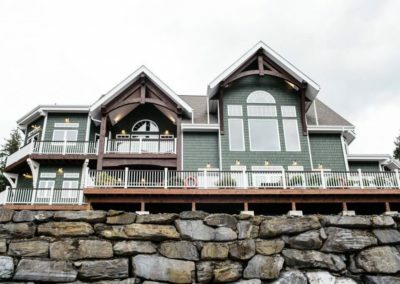 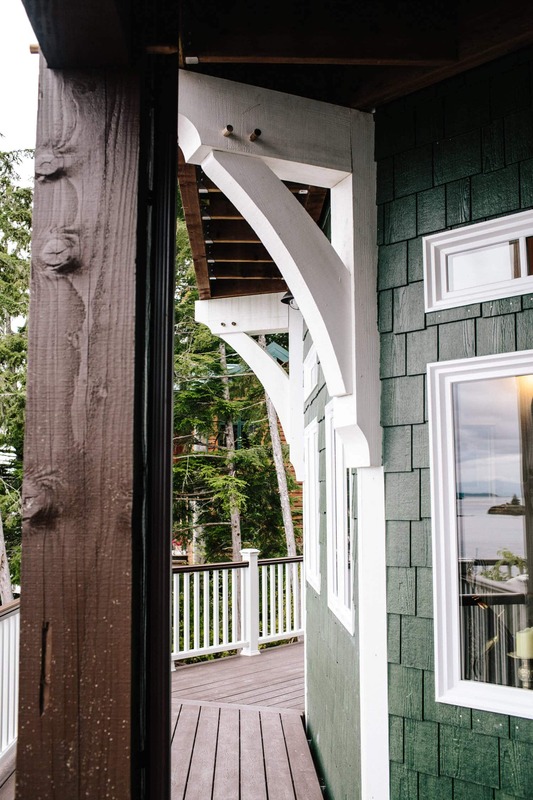 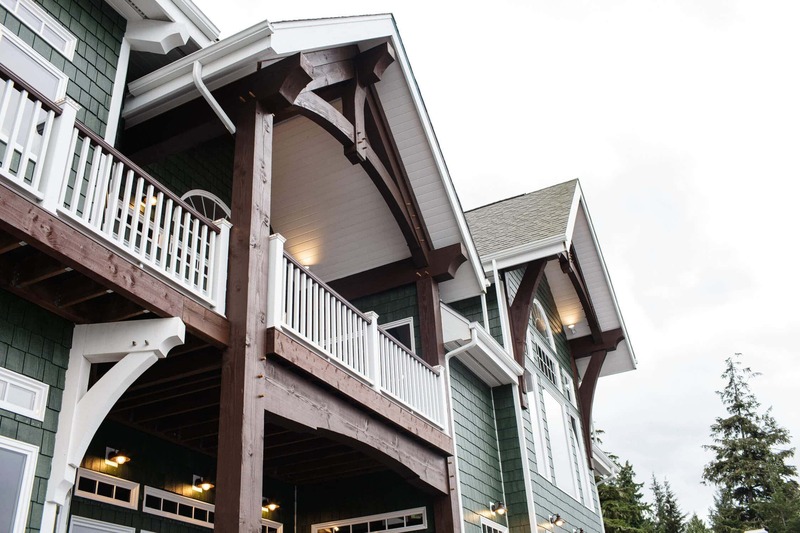 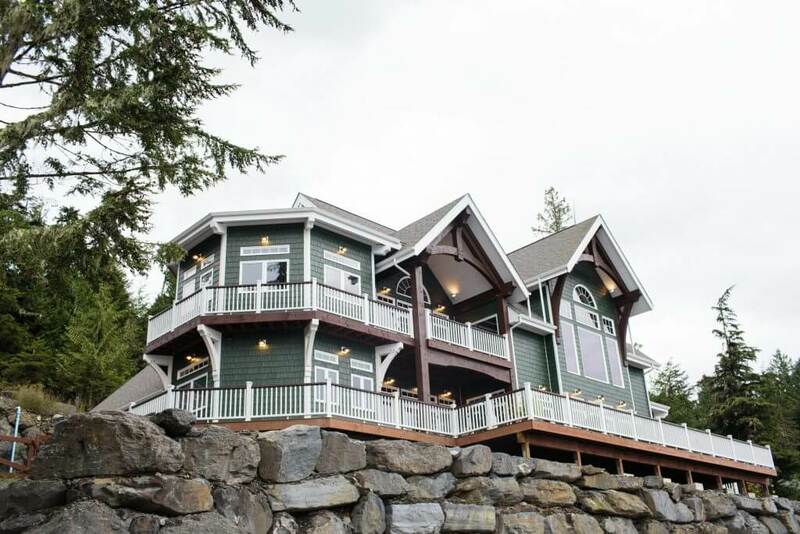 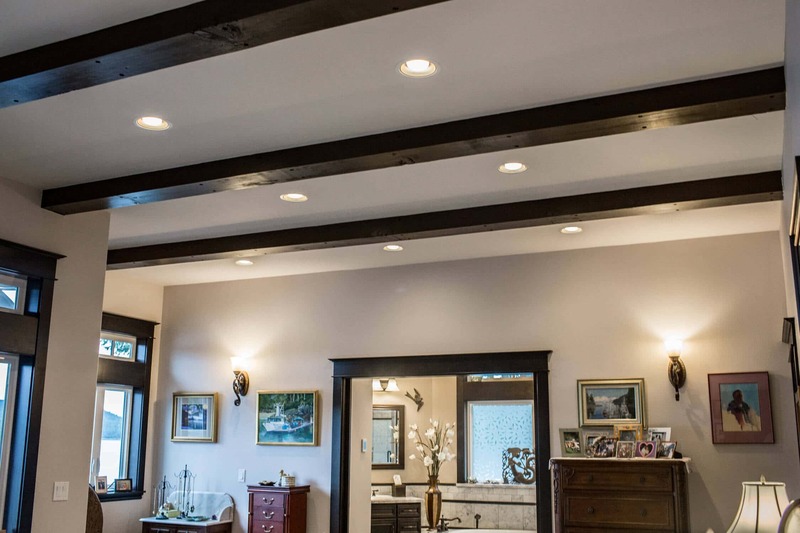 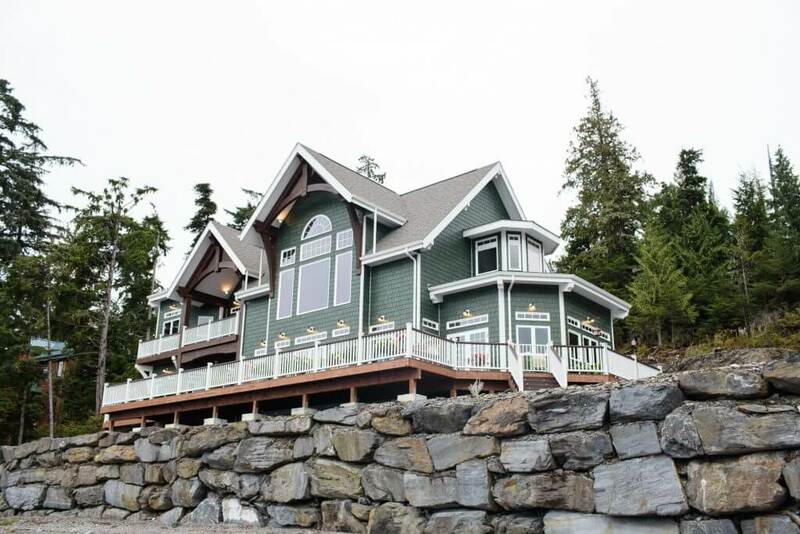 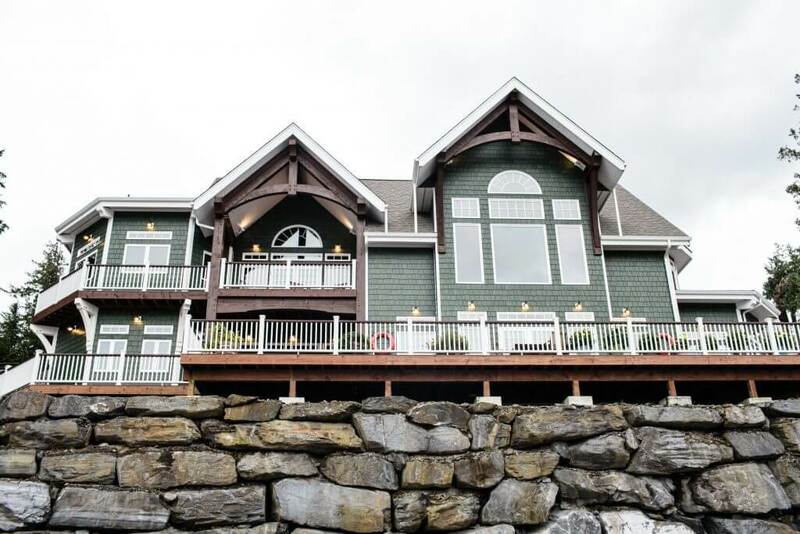 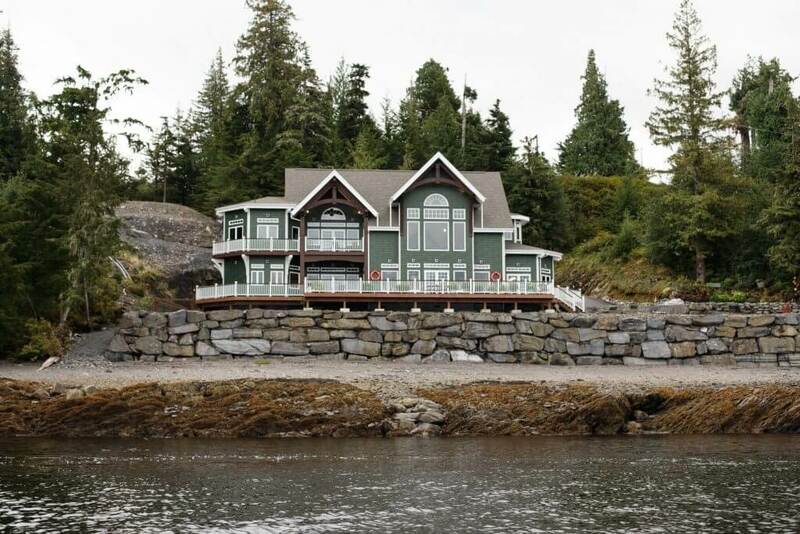 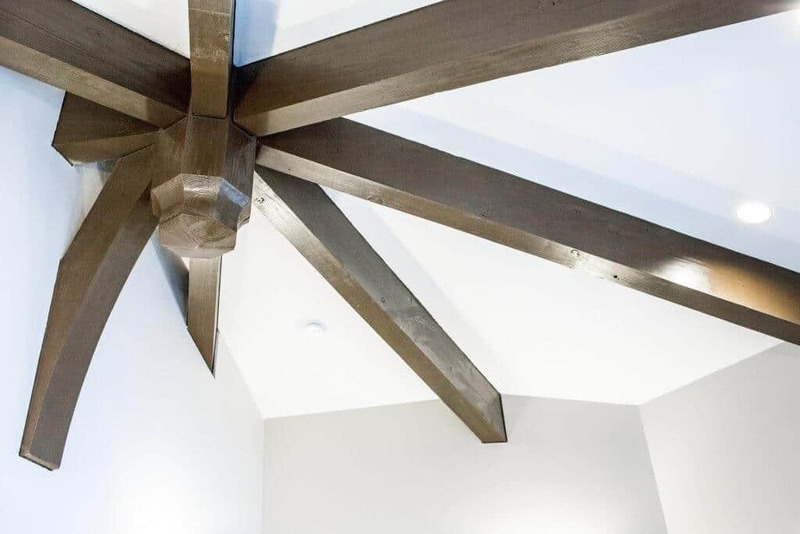 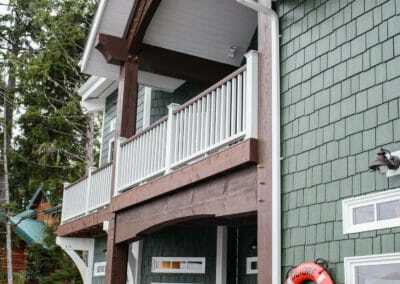 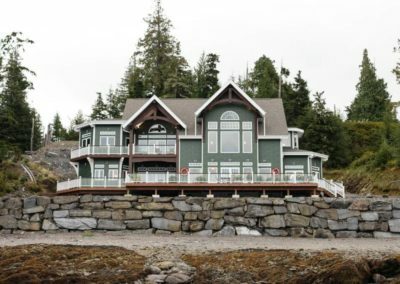 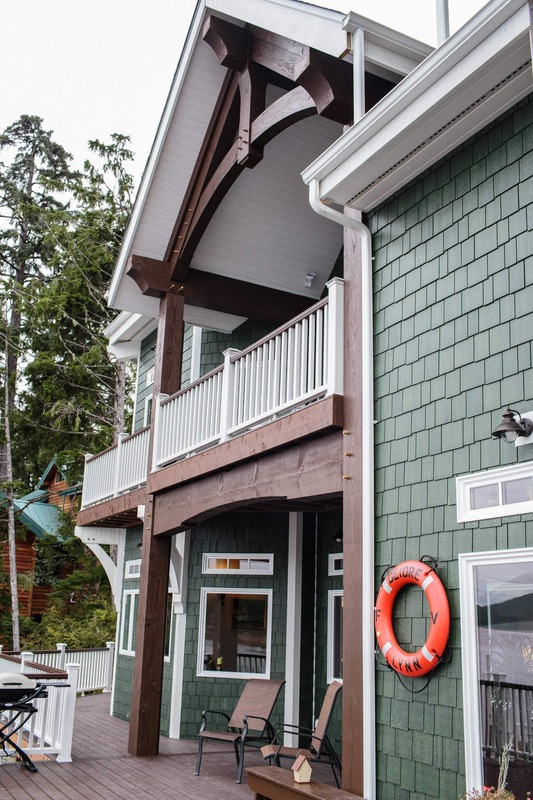 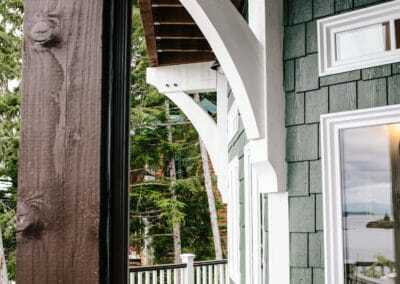 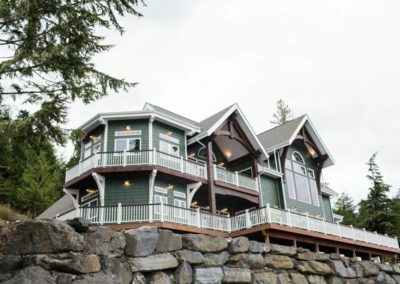 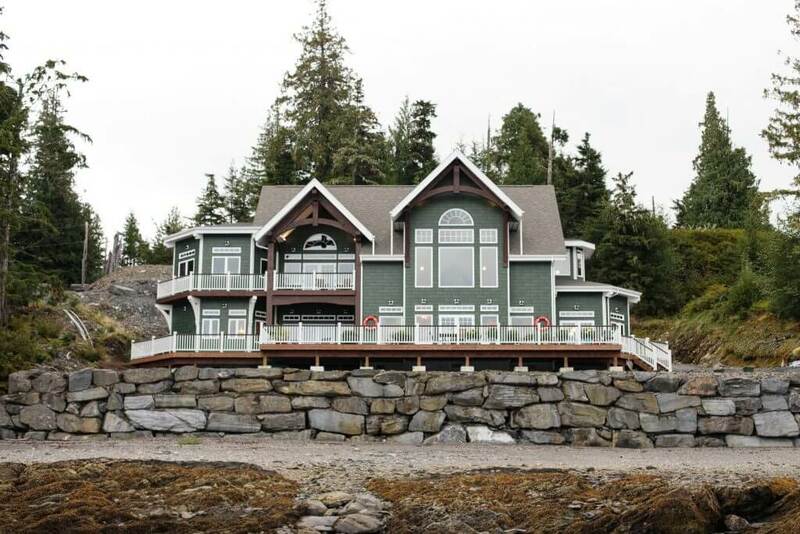 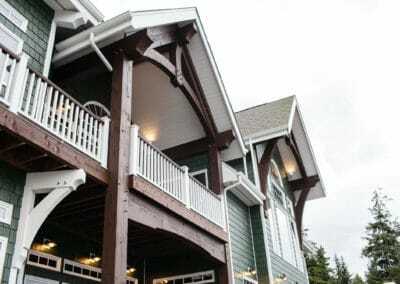 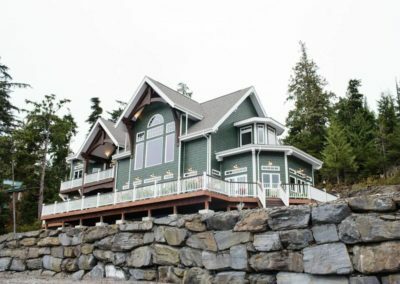 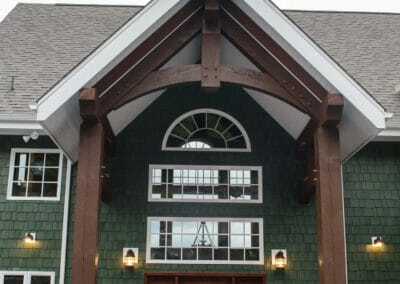 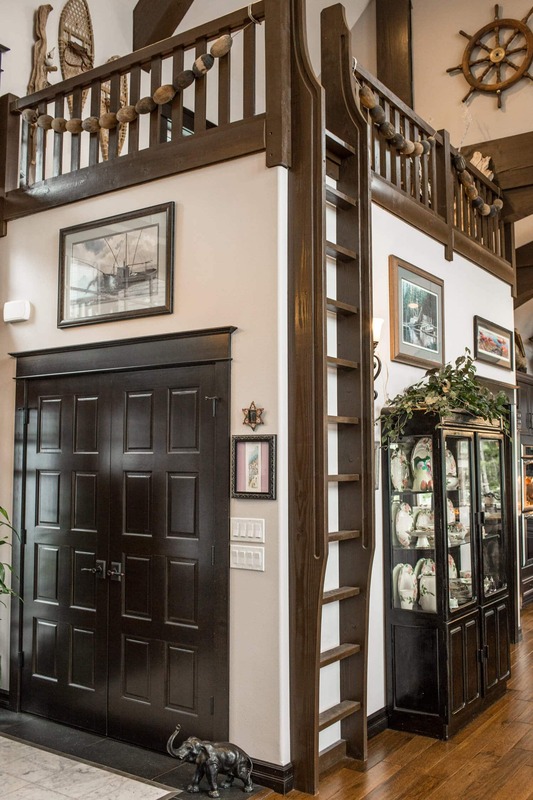 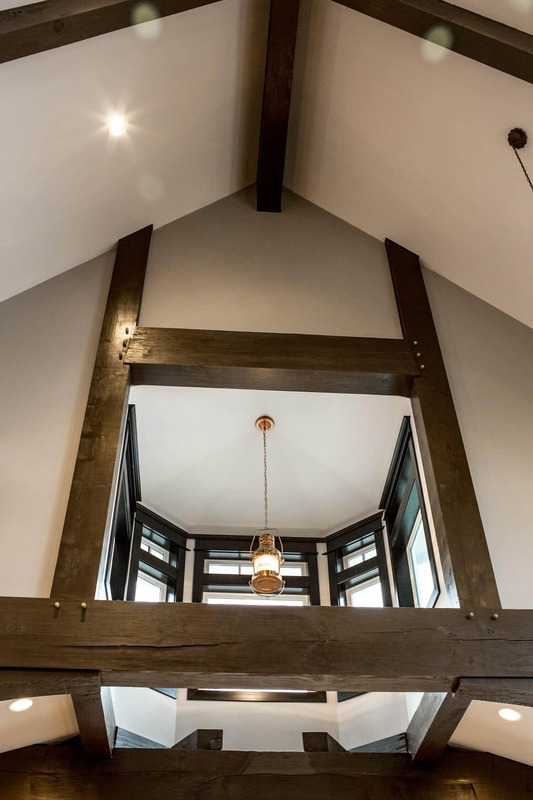 Located on the banks of an Alaskan river, timbers are incorporated to a beautiful effect. 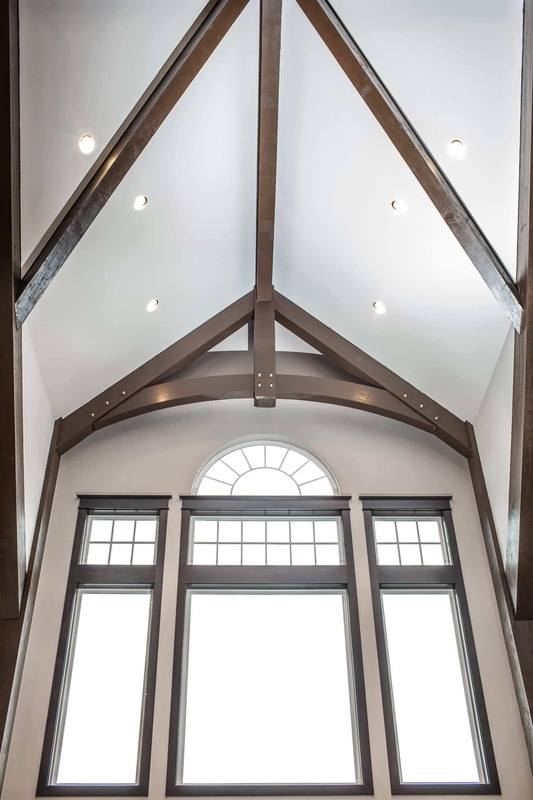 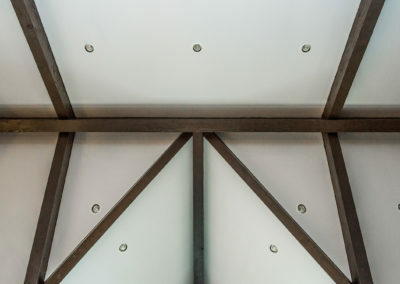 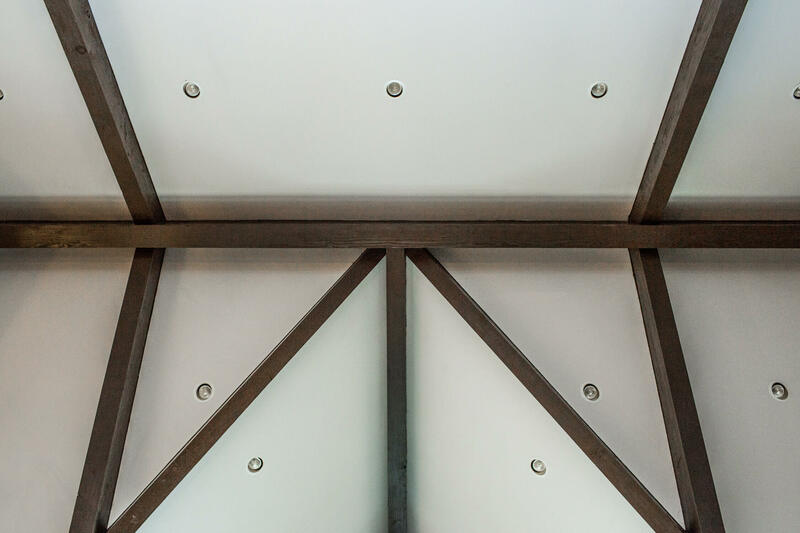 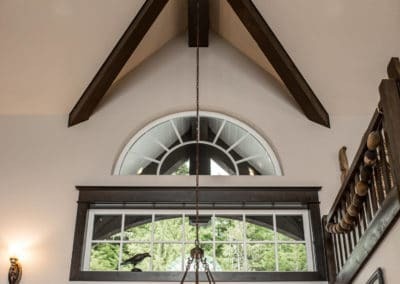 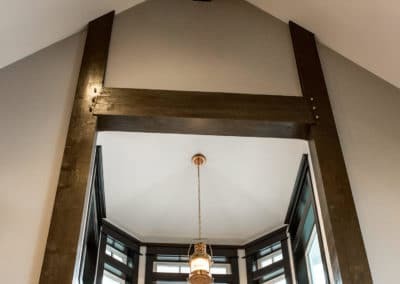 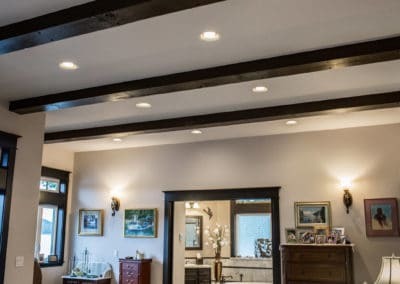 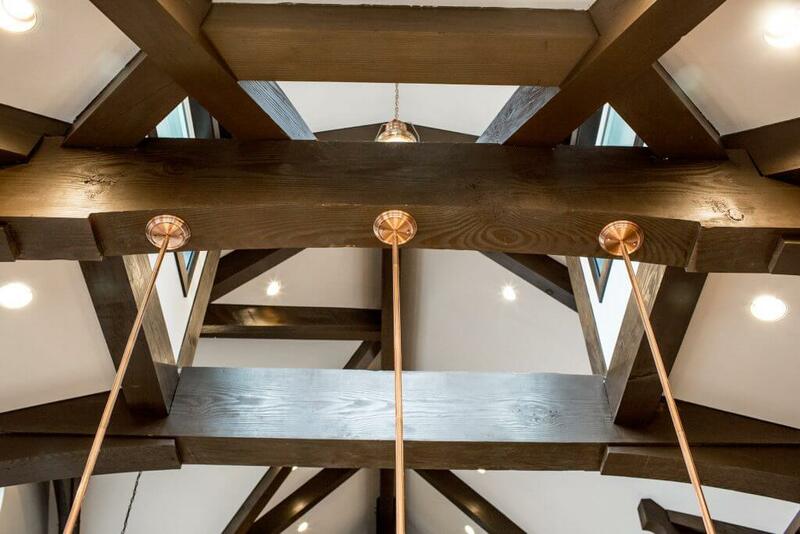 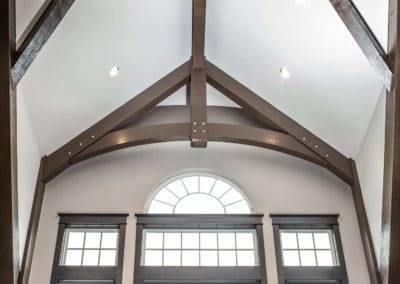 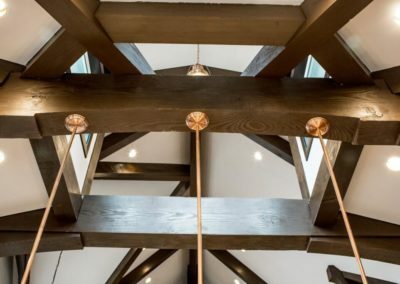 Our Timber Frame Home Post & Beam Portfolio shows the breadth of post and beam options available to you.